short girl, long island. : Cleaning Out My Closet. After trying to shove shirts into a cubby in my closet, I came to the realization that I need to part with some of my belongings. I have more clothes than I should at this given moment in time - shoes included. If figure if I sell a decent chunk of what currently resides in my closet, I can pay off some of my bills, and even treat myself to a few new things. Now, I am one of those people that hates parting with her belongings - borderline hoarder, I suppose. When I was working, money wasn't an issue - I would buy what I wanted, without thinking twice. Now that I no longer have money, for well, a lot of things, I decided parting with some of my belongings would be a smart idea. I have a feeling some of my Tokidoki for LeSportsac bags, vintage designer bags + my Chanel sneakers will be some of the first things to go. 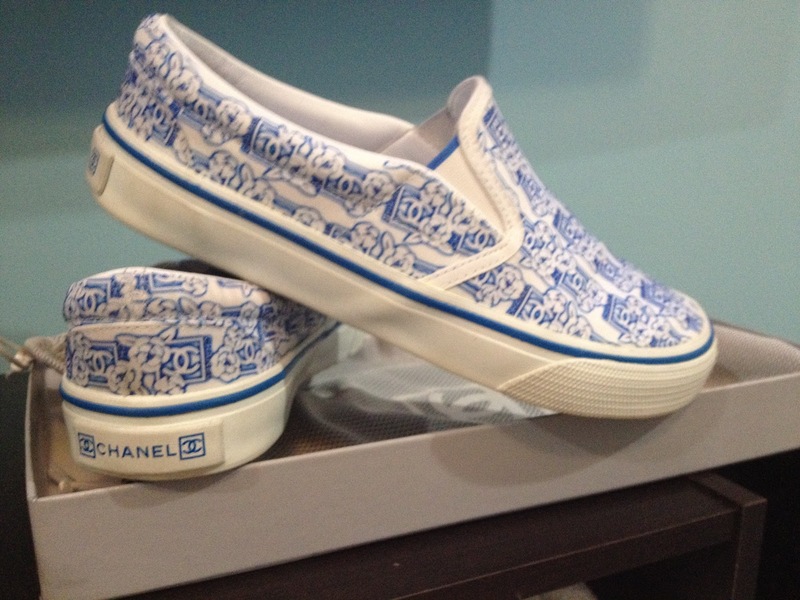 Chanel sneaker. S/S 2005. Paid $320 + wore them once. Size 37 Euro. Once I decide what I want to sell, I will post a link on the blog, so my readers can have first pick. If anyone is interested in anything specific (for those of you who know what lurks in my closet), let me know.